Ugin's Nexus ($0.30) Price History from major stores - Khans of Tarkir - MTGPrice.com Values for Ebay, Amazon and hobby stores! 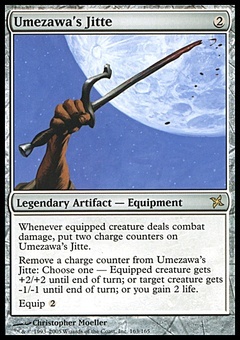 Card Text: If a player would begin an extra turn, that player skips that turn instead. 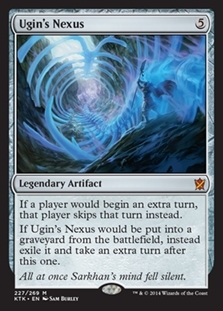 If Ugin's Nexus would be put into a graveyard from the battlefield, instead exile it and take an extra turn after this one. 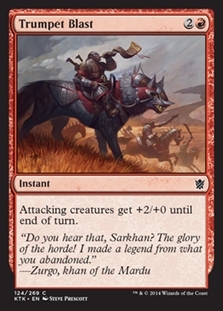 Flavor Text: All at once Sarkhan's mind fell silent.